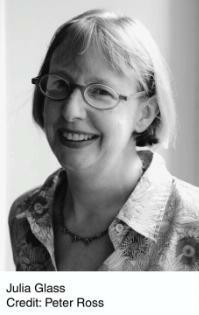 JULIA GLASS is the author of Three Junes, winner of the 2002 National Book Award for Fiction; The Whole World Over; I See You Everywhere, winner of the 2009 Binghamton University John Gardner Book Award; and The Widower's Tale. Her most recent novel, the highly-acclaimed And the Dark Sacred Night, was published in 2014. Her essays have been widely anthologized. A recipient of fellowships from the National Endowment for the Arts, the New York Foundation for the Arts, and the Radcliffe Institute for Advanced Study, Glass also teaches fiction writing, most frequently at the Fine Arts Work Center in Provincetown. She lives with her family in Marblehead, Massachusetts.